TherapSID is Twisted Electrons big take on fully controllable SID sound generation. 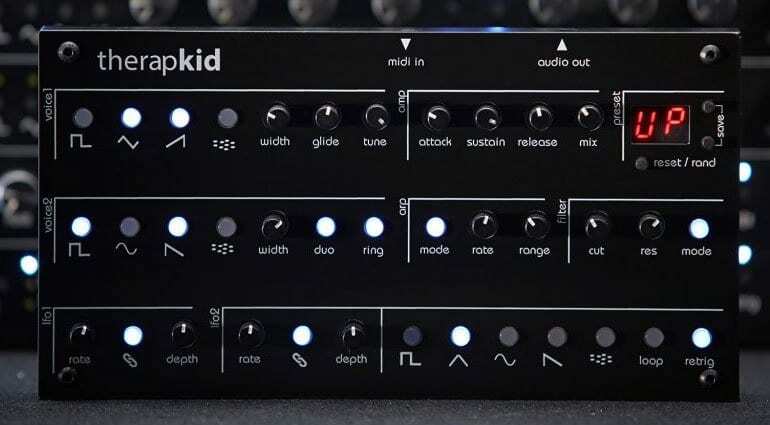 TherapKid is born from that coupling and offers an affordable duo-phonic synthesizer in a compact package. TherapKid takes the best bits from generations of SID noise making chips. It takes the gritty distorted filter from the original 6581 and combines it with the stronger resonance of the 8580. These numbers only mean something to the real chiptune nerds but let’s just say that it has a nicely gritty multi-mode filter with a load of resonance. The wavetables are all 8-bit but processed by a 96MHz 32bit processor and output of a 16bit DAC with oversampling and filtering. There are 8 waveforms, 4 for each of the 2 voices. 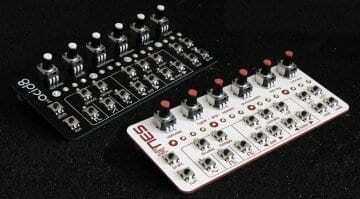 They can be tuned and mixed independently which is perfect for creating chords and evolving drones within the monophonic or duophonic context. The waves include a simple sine wave for more pure tones and the sort of sub bass a SID chip is not capable of. 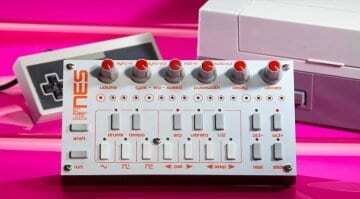 There’s also a multi-mode arpeggiator, ASR envelope and ring modulator. The two LFOs at the bottom follow the style of the TherapSID with up to 48 connections that can be made at the push of a button. The TherapKid has room for 50 presets and there’s a random patch generator on hand when you want something new. 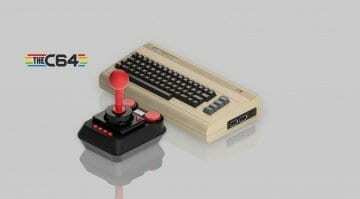 It’s sturdy in a steel case, has USB power and a MIDI input via an adapter. At €255 it’s over €200 cheaper than the TherapSID but gives you a similar vibe in a more compact form with those slightly fiddly mini-knobs. Pre-ordering opens on the 1st of May. 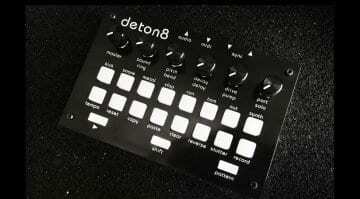 hell yeah i’ll be getting this and the deton8! is twisted electrons becoming the new arturia? in terms of portability, fun workflow and customer service. peace!